This week at E3 board game publisher Asmodee's digital arm, appropriately called Asmodee Digital, made it known that they're aggressively porting more tabletop experiences to consoles -- and next up on the docket is Ticket to Ride. 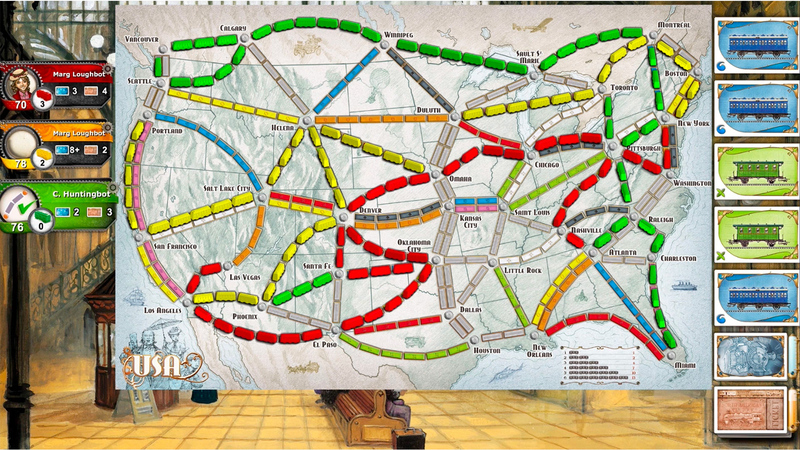 The 2004 Alan R. Moon-helmed board game that involves connecting train routes has become a staple of many tabletop groups, withstanding the test of time and expanding into many different versions -- the best of which is Ticket to Ride: Europe. It's all happening by way of PlayLink, Sony's social experiment that's very much a take on the system pioneered by Jackbox Games. Although there have been many advancements in the world of board games since the original Ticket to Ride, it's still fantastic and very easy to teach -- it'll be even less work to pick up in digital form when it arrives "later this year."